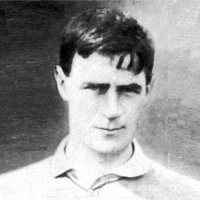 As a player, Reid was a high scoring centre-forward for Morton, Third Lanark, Motherwell, Portsmouth and Rangers before serving as a Gunner during the First World War. Winning nine Scotland caps, he finished his playing career at Albion Rovers, becoming their Secretary/Manager in 1922. In April 1931 he replaced his former Third Lanark team-mate Jimmy Brownlie as Manager at Tannadice, after Brownlie and United had mysteriously parted ways just hours after taking United back to Division One. He was unable to keep United in the top Division, and with the Club facing financial difficulties, he was denied the resources to mount a meaningful challenge for promotion. When United were rescued from the threat of bankruptcy in March 1934, the new owners decided to replace Reid, bringing Jimmy Brownlie back for some much needed experience and stability.